Corporate slogans, especially when designed for staff and management, help define the expectations held by the organization for interactions with the public. And in a service industry like banking, member service standards are what can make or break a relationship. When key members of the management team at Securityplus FCU sat down to evaluate their image they had a sense that members and staff alike could not readily identify their credit union’s brand – the core value that drives the financial institution to best serve their members. They realized that Securityplus employees were living the brand and giving their all to help make a positive difference in their members’ lives, but that spirit hadn’t been captured in a way to allow it to be easily communicated. 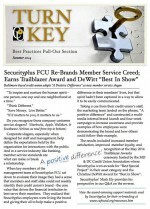 Taking a cue from their credit union’s staff, the marketing team landed on the phrase, “A positive difference” and constructed a multi-media internal brand launch and four-week campaign to increase awareness and provide examples of how employees were demonstrating the brand and how others could follow their example. 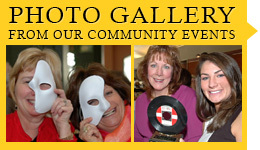 The results included increased member satisfaction, improved member loyalty, and recognition at the May 2014 Trailblazer Awards ceremony hosted by the MD & DC Credit Union Association where Securityplus won awards for “Best Special Project” in their asset category and the Christine DeWitt Award for “Best in Show”. Click to get the entire Q&A with Security Plus’ Mark Ely on why and how they tackled the rebranding effort. Download the printed materials used in the rebranding campaign. 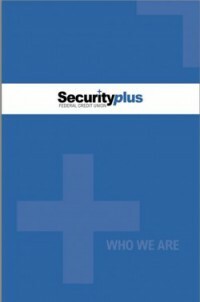 Securityplus included an employee quiz to test their employees’ understanding of the new member service brand. View the quiz.